Dr. James Kauffman, who was facing charges in the alleged 2012 contract killing of his wife, April, committed suicide in a Hudson County jail. 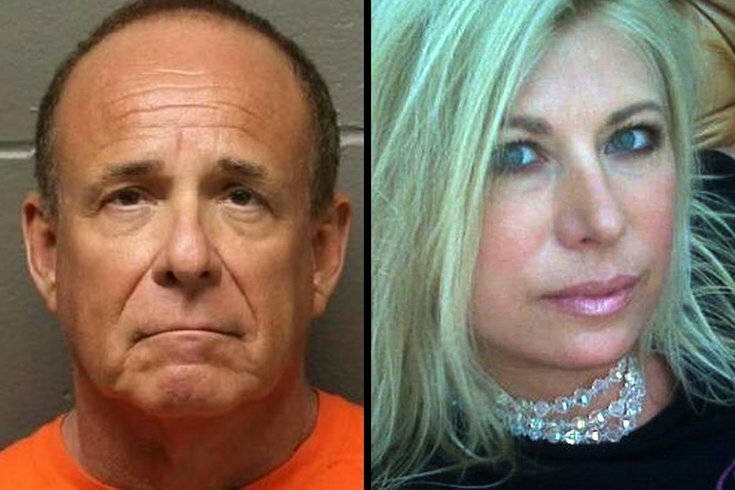 Dr. James Kauffman, the South Jersey physician who allegedly arranged his wife's killing in 2012, died of an apparent suicide in jail on Friday morning. The Atlantic County Prosecutor's Office confirmed Kauffman's death in a brief statement, saying it had been notified of the apparent suicide by the Hudson County's Prosecutor's Office. Hudson had been housed in Hudson County jail, just outside of Jersey City, because of "credible threats to his life." "The investigation is continuing and we will have no further comment at this time," the Atlantic County Prosecutor's Office said. Earlier this month, prosecutors announced that it had charged Kauffman with arranging for a hitman to carry out his wife's slaying, which had been unsolved for more than five years. Last June, authorities executed a search warrant on Kauffman's residences and his Egg Harbor Township office in connection with another investigation – one that tied Kauffman to a drug enterprise that he allegedly helped run in partnership with the Pagans Motorcycle Club, an outlaw bike gang. Kauffman allegedly greeted police arriving to search his office on June 13 while holding a 9-mm Ruger handgun. He then pointed the gun at himself and was ultimately taken into custody after a standoff and charged with weapons offenses, authorities said at the time. When the murder charges against James Kauffman were announced on Jan. 9, Atlantic County Prosecutor Damon G. Tyner alleged that the doctor was afraid his wife would go to authorities about his alleged involvement in the drug enterprise after she had threatened to do so when he objected to a divorce settlement. He then allegedly solicited the help of his partner in the enterprise, Ferdinand Augello, to arrange April Kauffman's killing. The shooting was allegedly carried out on May 10, 2012 by the since-deceased cousin of another man charged for his alleged role in the enterprise. Kauffman called 911 later that day, allegedly telling police that he had found his wife dead in their master bedroom on the second floor of their Linwood home. Along with being charged in the killing, Kauffman and Augello were charged along with six others in the drug scheme, for which Kauffman allegedly wrote oxycodone scripts to Pagan members and others sent by Augello to Kauffman's medical practice. Kauffman and Augello allegedly received cash in the dealings, with Augello sometimes receiving a portion of the pills instead, Tyner said. Kauffman, an endocrinologist, continued to practice until the standoff in June. He was stripped of his medical license shortly after a Superior Court judge ruled on June 19 that Kauffman would stay behind bars until he could be tried on the weapons charges stemming from the standoff.